Early AM we fly off to Cairns. 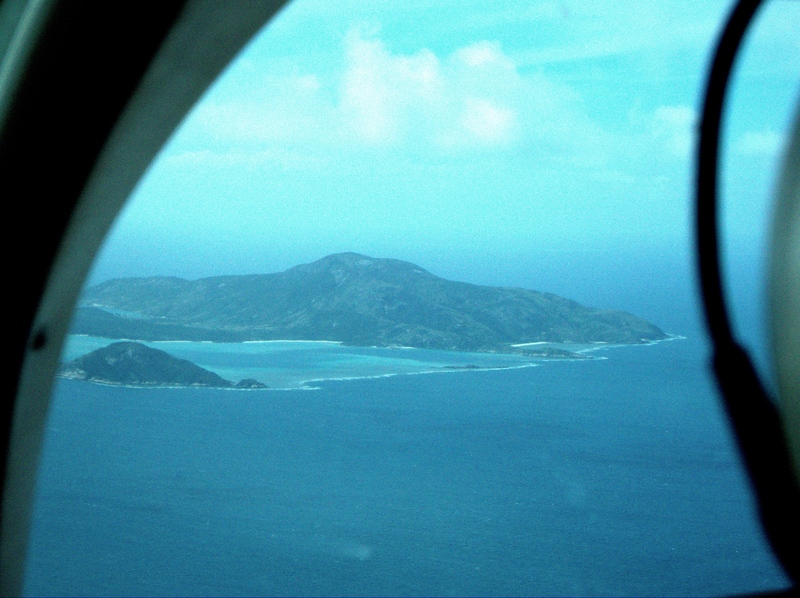 It is there we catch a 50 minute flight to Lizard Island. Jon sits up in the co-pilot seat chatting up the pilot on the way over. We skip around a few cumulus clouds but the flight remains relatively calm. The Barrier Reef is spread out below us as we fly north of Cairns. Although Lizard was hit hard by a cyclone several years ago, it seems to have recovered. The vegetation is a little younger. The monitor lizards less visible. Rooms have been remodeled. Tennis court remains appropriately beat up plastic grass. We settle in the afternoon on our porch enjoying the beach and solitude of ocean. And we are finally Warm. This entry was posted in Galapagos. Bookmark the permalink.